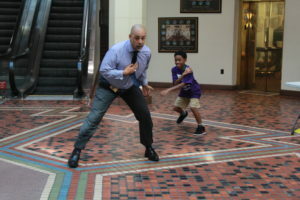 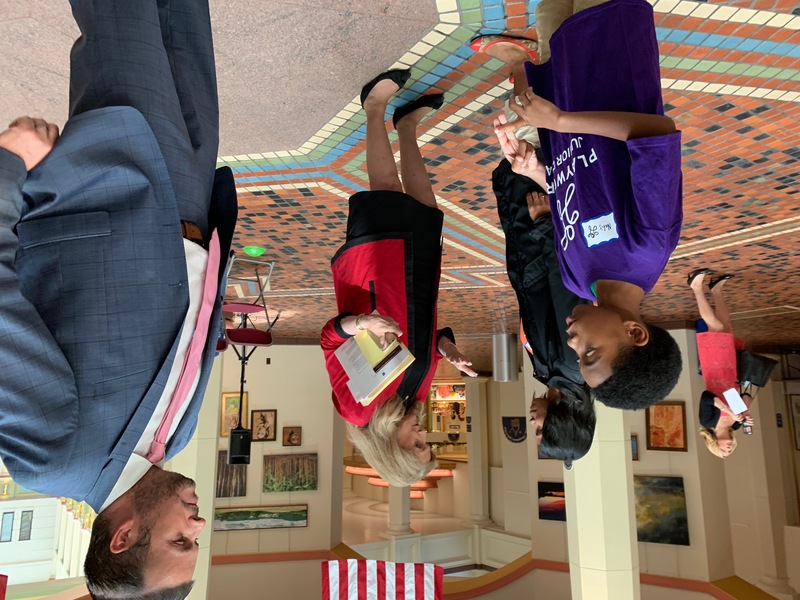 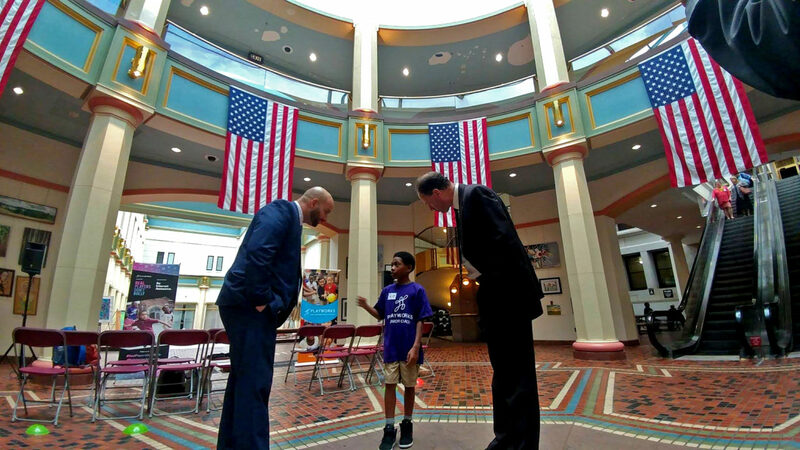 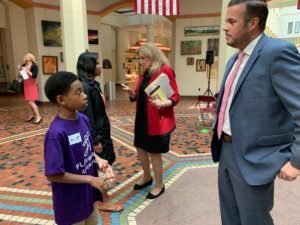 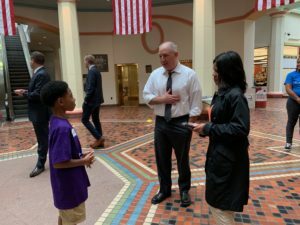 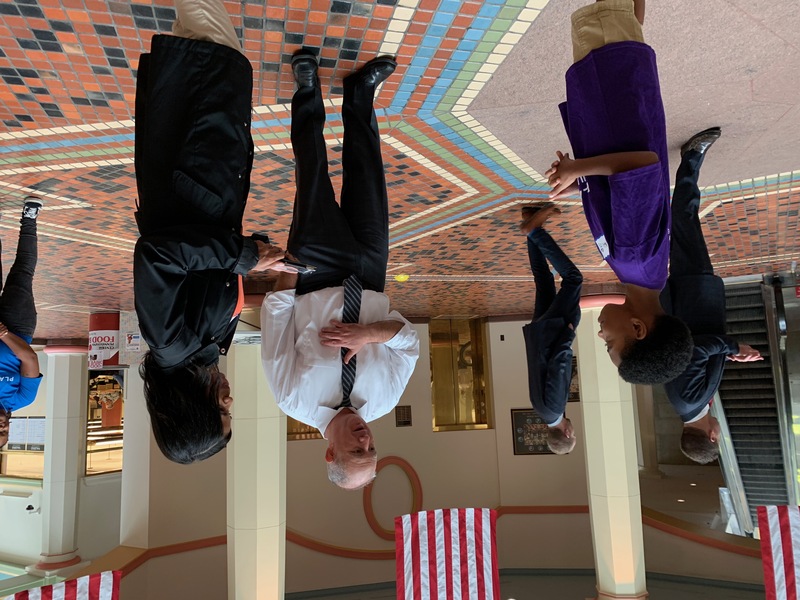 “A well rounded childhood is when a child has everything they need to learn and live in a respectful safe way,” Junior Coach Nafis explains to legislators and staffers . 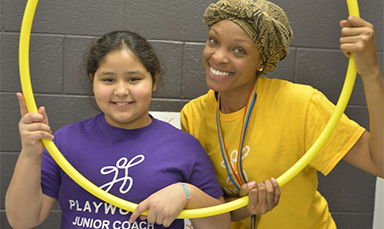 Junior Coach Nafis shared firsthand experience of how a safe and inclusive playground can still be fun! 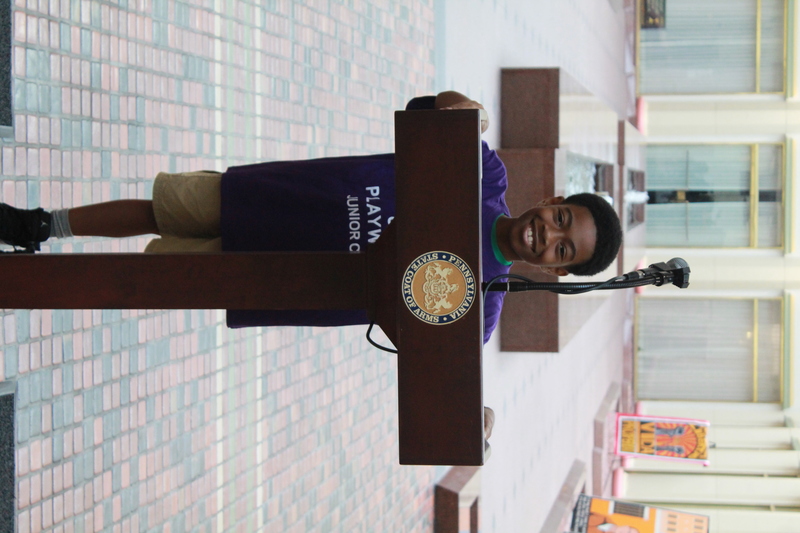 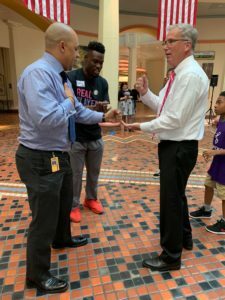 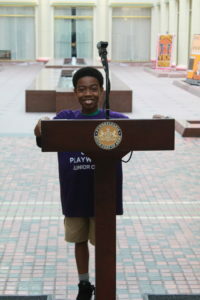 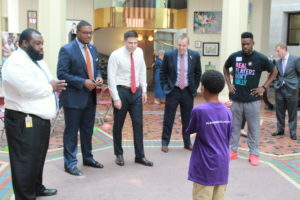 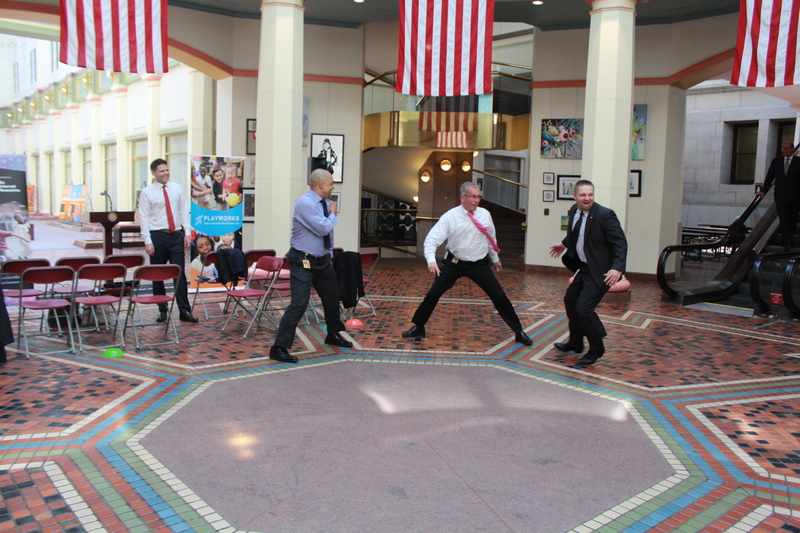 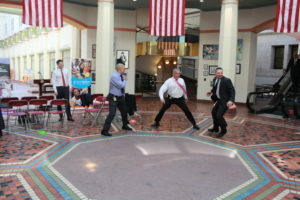 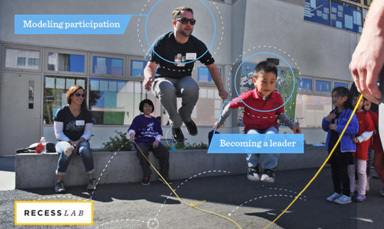 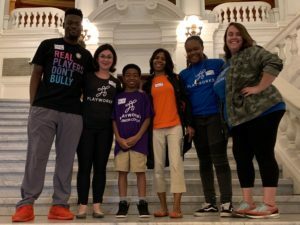 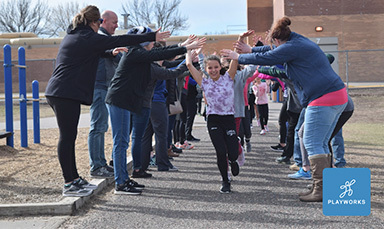 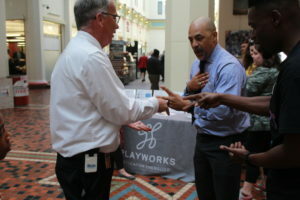 State and community representatives put their political differences aside to play recess games together with Playworks to promote kindness and inclusion as a part of Playworks’ Real Players Don’t Bully campaign. 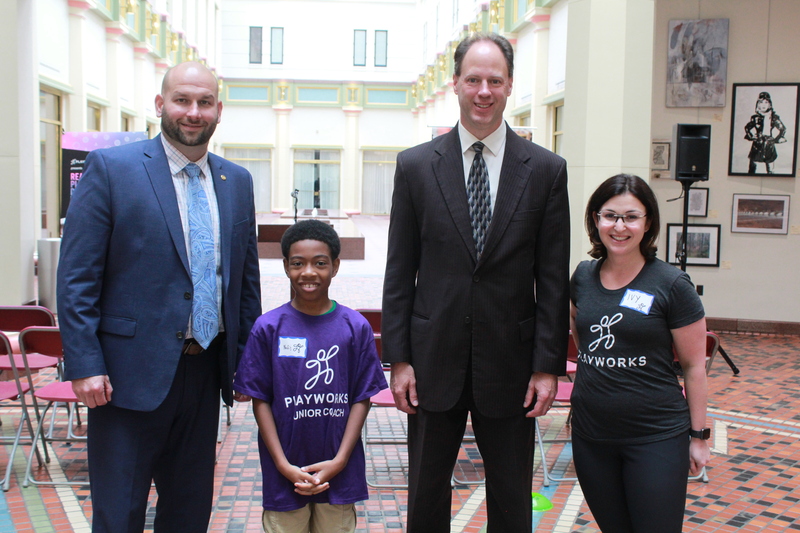 During the event, State Representatives Jared Solomon spoke about why bullying is an issue that must be addressed. 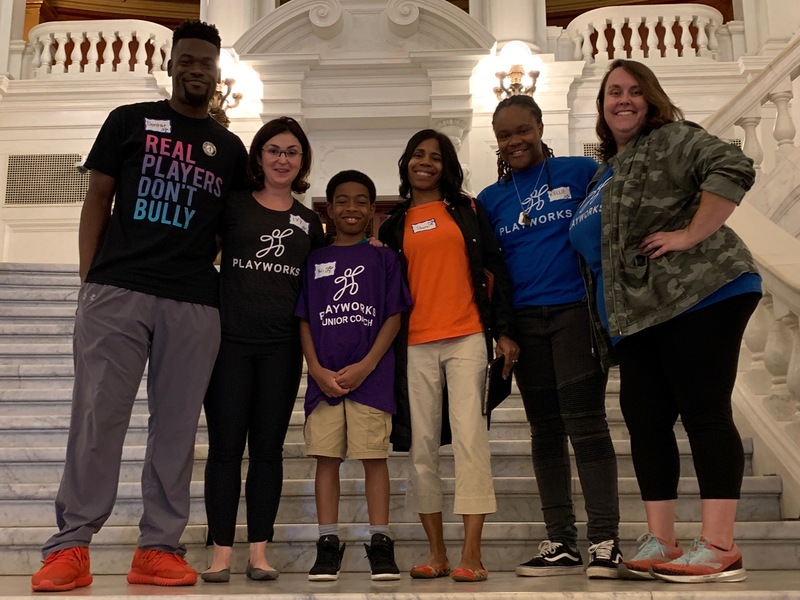 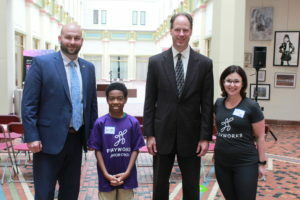 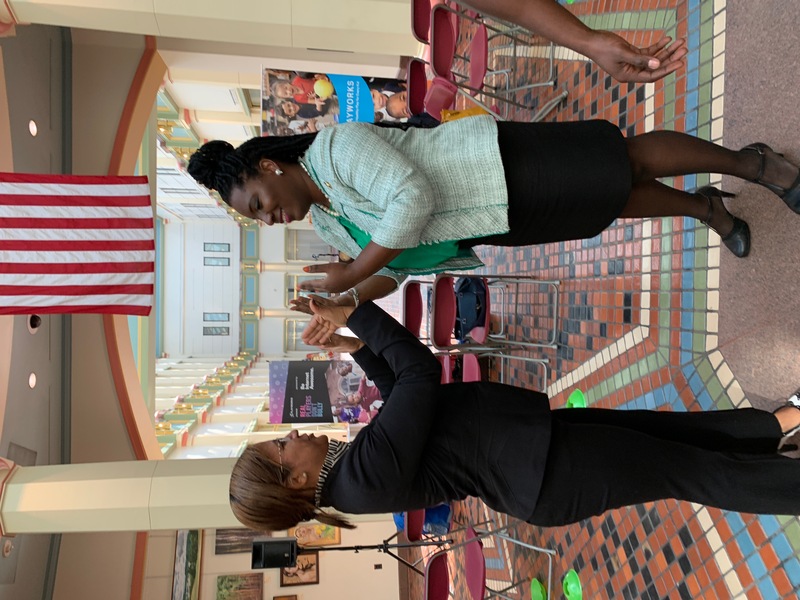 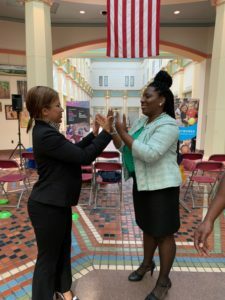 Ivy Olesh, Playworks Pennsylvania Executive Director, spoke about the importance of treating others with empathy and respect to be successful and how together we can stop bullying before it starts. 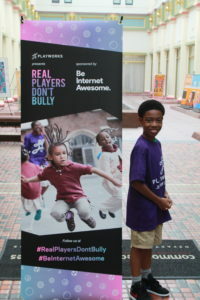 And, Playworks Junior Coach Nafis shared his experience of being bullied on the playground and how he is leading his peers by example to be more kind.